The American academic Jonathan Haidt published a book called ‘The Righteous Mind’ in 2012. It performs the remarkably useful task of explaining progressive and conservative outlooks to each other. At the heart of Haidt’s argument is that there are several different grounds for the human moral ‘sense’. In just the same way that the human sense of taste can be broken down into several different components – sweet, salt, bitter and so on – so can our sense of morality. Haidt specifically advances five different grounds on which human beings base their sense of moral judgement. These five are care, fairness, loyalty authority and sanctity. 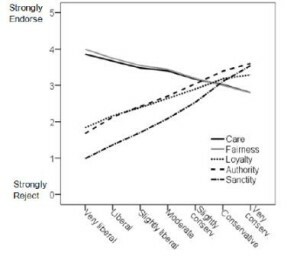 Haidt’s book explains how he reaches one particular conclusion (and it is very persuasive) – those on the left of the political spectrum tend to rely heavily upon only two of these five different grounds, those of care and fairness. In contrast to this, those on the conservative end of the political spectrum rely upon all five when reaching their moral judgements. To put that differently, both conservatives and progressives see care and fairness as important when it comes to making moral decisions. However, the difference between conservatives and progressives comes when considering issues that relate to the three other grounds for our moral sense: loyalty, authority and sanctity. There are issues which relate to these latter which are of great moral importance to conservatives which simply have very little value to progressives. One example is the nation. For a conservative, the nation is a focus for all three grounds of loyalty, authority and sanctity. In the case of the United Kingdom, this is centred on the Queen, to whom all public officials (authority) have to swear an oath (sanctity) of obedience (loyalty). There are equivalents in every other nation – consider how sensitive the question of ‘flag burning’ is in the United States. However, for the progressive point of view, none of this makes much sense. These things which conservatives value are not seen as having much value at all. Unless these things impinge upon questions of care and fairness then progressives do not have much interest in them. This difference underlies so much of our political debate, and can be seen most clearly in questions around immigration. To the progressive the most important questions are around care and fairness – how can we take care of the immigrant or refugee? What is a fair response? However, for the conservative, although those questions carry weight, there are other questions relating to loyalty, authority and sanctity. They will perceive significant harm from immigration if those entering into the nation have divergent values on these questions, and this may prove more important in coming to a decision than the questions of fairness or care. This is why I believe a great deal of the analysis about Brexit has fallen short. Much of the analysis – especially on the left – has treated the question of Brexit as being principally a matter of economics or social justice. That is, there is the question of whether our economy will benefit or be hindered by a Brexit; then there is the question of who might benefit or who might be harmed as a result of no longer being a member of the European Union. This is as far as much analysis has gone. Yet to the conservative perspective such an analysis is proof of the poverty of progressive thought. The crucial questions have been about ‘sovereignty’ – that is, the independence of the nation on which centre those values of loyalty, authority and sanctity. To the conservative perspective it may well be the case that the economic argument for Brexit is weaker than the economic argument for staying, yet that does not carry much weight when compared to the prospect of a restoration of national sovereignty and independence. The more conservative perspective would be prepared to take a very sizeable economic ‘hit’ in the interests of the other values being affirmed. The sadness of our time – and the great gift that Haidt’s research offers to us – is that the progressive side of the political divide, which has been dominant for many decades, simply does not see the nature of the conservative perspective. So often the arguments devolve into caricatures, that the conservative is unfeeling and heartless (ie deficient on the ‘care’ and ‘fairness’ criteria for moral judgement). The consequence that flows from denying a healthy respect and affirmation for the moral needs of authority, loyalty and sanctity is that this desire takes on darker and more destructive forms. We are in an environment now where the progressive emphases of the last few decades are going to be subject to immense scrutiny, as the blowback from progressive over-reach comes home. We need to ensure that those benefits that have been gained are not lost by a return to an over-rigid and authoritarian affirmation of the nation. Yet we will not gain that happy medium by being terrified of all expressions of national pride. On the contrary, without a healthy sense of British national pride, we will end up being subject to unhealthy forms and much that is good would be lost. Ultimately, we do not have to be afraid of the nation. The twentieth century did show us what happened when national identity was pursued to an evil and absurd extreme, yet it is possible for there to be an equal and opposite error – to pretend that a nation is simply an optional extra, of no significance or moral value. Such a view is dehumanising and a product of a very specific set of cultural circumstances in the modern, technocratic and rationalistic West. That excessive view is what has now reached an end point, and which will die out within the next generation. The challenge that faces us is how to manage that ending without too much collateral damage. The task that faces us is how to affirm our sense of national identity without at the same time reverting to an authoritarian politics. I believe that we can navigate these waters successfully, but to do so we have to allow an honoured place for the moral sense about what is worth being loyal to, giving authority to, or considering sacred. This entry was posted in culture, politics by Elizaphanian. Bookmark the permalink. Your comment box is awful ! I lost a long reply because the ‘post comment’ button vanishes when the text became too long (it doesn’t scroll properly). Short version: Progressives are single generational thinkers who unknowingly adapt American free trade market policies. Their worldview is that of a cosmopolitan individualized consumer with actual diversity being destroyed through the shifting tides of immigration and capital. They see themselves as outsiders fighting against the system and don’t realize their values represent the system. Islamic immigration is not so much an immediate issue as a long term problem when Islamic institutions inevitably form and begin pushing against the national culture. Conservatism can boil down to supporting religion and ‘family values’ but can vary wildly from place to place depending on what there is to conserve. Conservative anti-immigration arguments don’t really work well here in Ireland for example because there’s so little of Gaelic culture remaining. In fact more immigrants are interested in learning the irish language than natives. I would find defining Irish national culture a daunting, almost impossible, task. So sorry about the comment system! I’ve never had much luck with them whichever one I try. 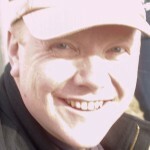 “They see themselves as outsiders… and don’t realise that they are the system” – exactly so! Fascinating about Gaelic – I travelled to Ireland last week for the first time (Dublin) – loved it, and had the pint of Guinness in an Irish pub that was one thing on my bucket list. I have had a certain amount of success pointing out to ‘progressives’ that much of their value system is grounded in 18th and 19th century concepts of nationhood and is only made possible because of those concepts. Eg, Brexit is progressive, because it allows greater democratic control and is a brake on pan-European authoritarian government. Restriction on immigration are progressive, because it allows better integration for those from less liberal cultures. Citizenship is progressive, because it allows for contributory welfare states to work properly. Stuff about oaths of loyalty to the Queen etc are, to my mind, pointless because they just produce the ‘mechanical snigger of the highbrow’ that Orwell warned against. Very interesting – where is that Orwell reference from?